Southeast Asia's largest low-cost airline, AirAsia, is predicting that 2016 will be a better year and that its Philippine affiliate is poised for growth as passenger numbers rise. According to airline records, AirAsia Philippines posted the highest load factor growth of all its affiliates in the third quarter of 2015. 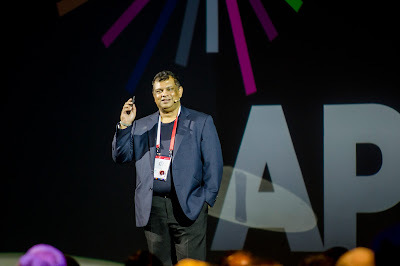 In a report published by Rappler, Tony Fernandes, CEO of AirAsia Group, expressed optimism for his Philippine affiliate. "I am predicting a big year in 2016 and I am very confident Filipinos are going to love our products," said Fernandes on the sidelines of the 2015 Asia Pacific Economic Cooperation CEO Summit in Manila. "In terms of passenger traffic, the Philippines is actually the best," added Fernandes. "We are optimistic. We will keep discovering new places and new things. 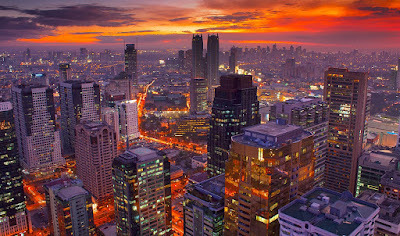 It is a challenge here, but there is a big prize at the end of the day in the Philippines." In the third quarter of 2015, AirAsia Philippines recorded a load factor of 84 percent, representing a 19 percent increase over the same period last year. An airline's load factor is a measure of aircraft seat occupancy. With the Philippine unit posting the highest load factor increase in the third quarter among AirAsia affiliates, Fernandes remains optimistic that the budget carrier will post a profit in the next quarter. "For the fourth quarter, we will make money, which is great and I am super confident going forward," stated Fernandes. AirAsia Philippines continues to optimize its operations in the midst of a re-fleeting program in an effort to reach profitability. "Philippines AirAsia's re-fleeting plan is also on track where older aircraft that were acquired during the acquisition of Zest Air will be sold or targeted to be returned to third party lessors," added Fernandes. "This will help the associate to continue reducing its cost further. Network optimisation is in place and the number of agents will also be increased in the Philippines." Shareholders of the carrier are planning to invest additional capital into the airline to fund the lease of an additional five A320 aircraft in 2016. The Philippine budget carrier is planning a $200-million initial public offering in the first quarter of 2018, as it nears the completion of its re-fleeting program and streamlining of operations. "More investments will come after IPO, but we do not want to announce what we are going to do because then other airlines will copy us," said Fernandes. For now, AirAsia Philippines will continue to focus on its short-haul operations even after the initial public offering. However, it did not rule out the possibility of long-haul flights operated by AirAsia X in the future. "It will probably be the next CEO who looks at long haul, not me," noted Fernandes. He added that the carrier has no interest in the US market until they have exhausted the potential of the ASEAN market. "You set the doorsteps of China, Philippines, Japan, and Korea. On the other side, you have a 700-million ASEAN market, with most of these people not having been to the Philippines yet," Fernandes added. Meanwhile, AirAsia Philippines is planning flights to Japan for 2016 as it prepares to increase its footprint in the international market. The budget carrier recently acquired unused entitlements previously held by Philippine Airlines. But for now, the focus will remain on China. "We are able to get new entitlements to Japan," said AirAsia Philippines CEO Joy Cañeba. "Maybe by late next year we will fly to Japan because in the first half, I will be focused on the China routes." Cañeba added that AirAsia Philippines is planning to operate flights to Tokyo's Haneda Airport, which is closer to the city centre and preferred by business travellers. Philippine Airlines and Tokyo-based All Nippon Airways currently operate service to the airport from Manila. There is currently no low-cost operator flying between the Philippines and Haneda Airport. However, if the plan does not succeed, AirAsia will fly to Tokyo Narita Airport, where it faces competition from Japan Airlines, All Nippon Airways, Philippine Airlines, and Cebu Pacific. Last month, the Civil Aeronautics Board approved the petition to allow AirAsia Philippines to operate as a single company with just a single certificate. The new company named Philippines Air Asia Inc, replaces AirAsia Philippines and AirAsia Zest. Please focus on Japan expansion instead of China. China is not very welcoming. No offense. Hope they can focus in developing their Cebu hub for those DIRECT International flights to ASEAN countries and China as well as Japan in the soonest not later.